Today's outfit from work. 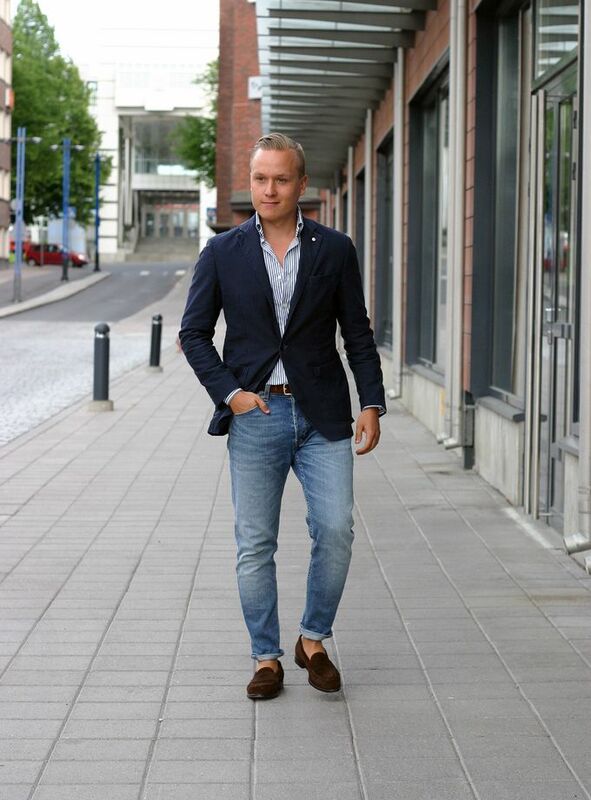 Decided to go for a bit more street combination and just picked up an Italian long collar point style button-down shirt, a navy cotton jacket, some denim and simple penny loafers. So, the jacket is from LBM 1911, shirt from SuitSupply (3rd button unbuttoned after work), brown suede belt from Alden, denim from Wrangler and penny loafers from Septième Largeur. 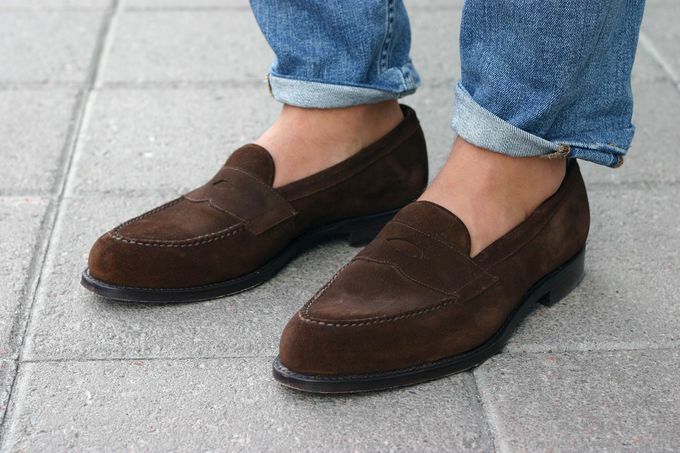 Septieme Largeur penny loafers in brown suede. I love this last. It's not too sleek so you could wear them even with shorts or a bit more street looks, but it is sleek enough so that it's not just your grandpa's old loafer. Oh, and it's the same last that is used on the brown calf tassel loafers I've been using quite a lot recently.